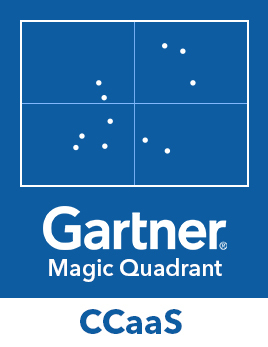 Businesses want to balance quality with cost. Profitability is always at the forefront of any decision for commercial organizations, and the uptake of automation and digital channels promised high-quality service at a fraction of the cost of a phone call. 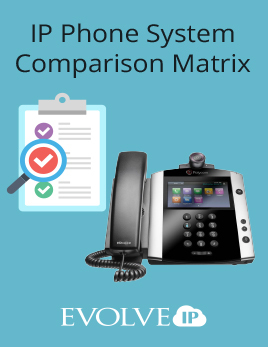 While digital channels have a reported cost advantage over telephony, the differential is not as large as it could be. 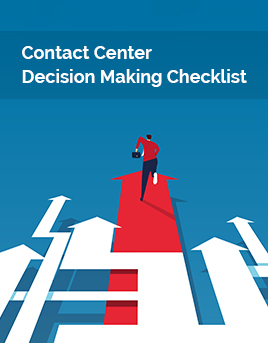 Based on the findings in the “US Contact Center Decision-Makers’ Guide”, relatively low levels of automation are being used to answer either emails or web chat, and this is a significant opportunity for businesses and solution providers. The low levels of automation being used to handle many digital channels certainly impacts upon cost. This is exacerbated when the initial digital interaction is insufficient to answer the customer’s issue, leading to an alternate channel being used. If an organization is operating in a siloed multichannel fashion, rather than as an integrated omnichannel environment, this movement between channels may require the customer to repeat their issue and the context and history to be lost, damaging the customer experience and inflating the cost of the interaction to the business. 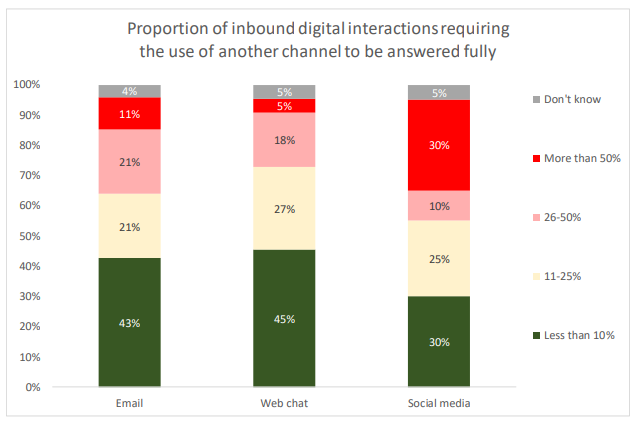 Survey respondents were asked to estimate the proportion of digital interactions that required the use of another channel to be answered fully. 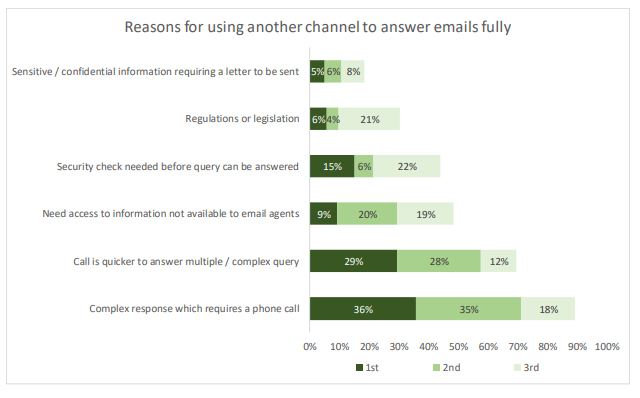 43% of respondents stated that fewer than 10% of their emails could be answered fully without recourse to alternative channels, with 11% stating that more than half of their emails needed supplementary channel assistance. 45% of respondents report that fewer than 10% of web chats require another channel to answer the query fully, with only 5% stating that more than half of web chats require movement to another channel. 30% of respondents state that more than half of social media requests have to be completed via another channel, perhaps because of the public nature of the channel, and that customer identity verification is not as straightforward as with voice. A follow-up question was asked about the reasons for using another channel. While this question specified the email channel, it is likely to apply to other digital channels as well as they face many of the same challenges. Two interlinked responses came out clearly ahead: the multiple, back-and-forth nature of the queries are quicker to answer on a call; and complex issues are better handled with a phone call rather than an email. The ability to take a customer through security checks more easily in a different channel was also considered important by 43% of respondents, and 48% considered that email agents do not always have access to the sources of information that they need to answer the question fully. 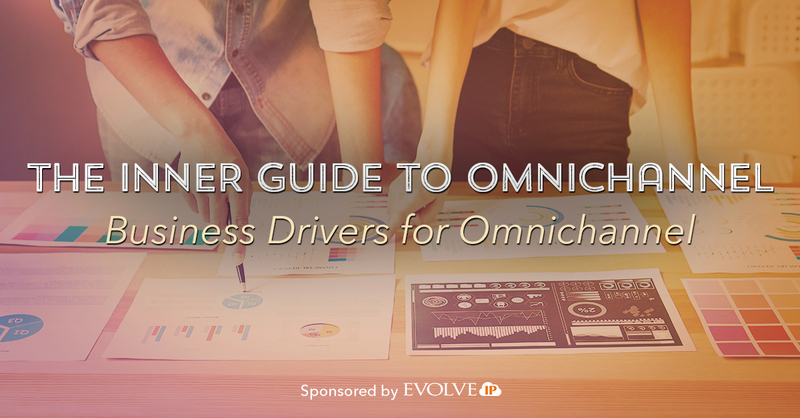 It is important to note that omnichannel isn’t simply about managing inbound interactions. 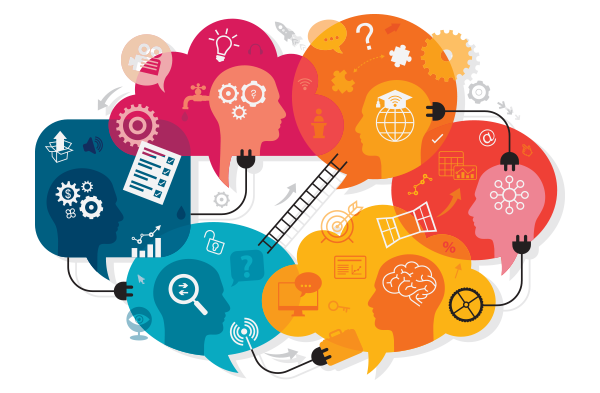 Identifying opportunities for proactive outbound customer contact allows businesses to avoid unnecessary inbound calls while improving the customer experience, in that they are presented with useful information without having to make any effort. 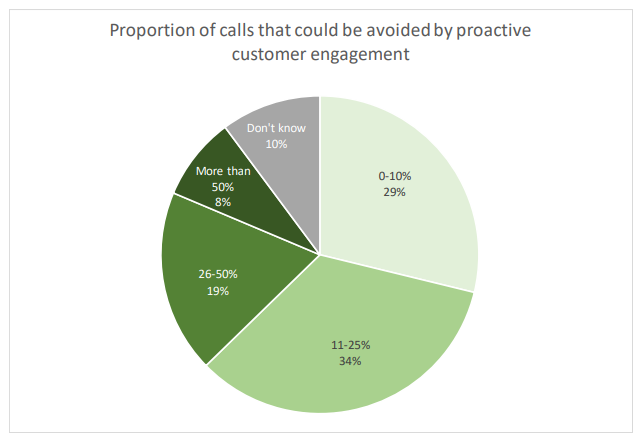 Survey respondents were asked what proportion of inbound calls could be avoided by engaging the customer before they felt the need to call the business. 27% of contact centers reported that more than a quarter of their inbound calls could be avoided if more proactivity was used, which would make a huge difference to costs (especially through automated outbound communication), as well as having a positive effect on customer experience. 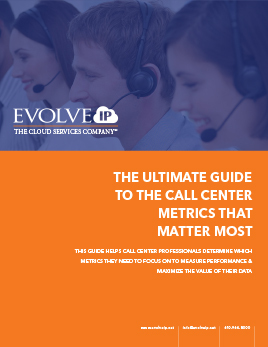 Businesses should analyze the type of interactions that they receive into their contact center, and to see if there is a cost-effective way of proactively handling these. The opportunity is certainly there for the industry as a whole to manage the inbound demand more effectively than is being done so at the moment. On average, respondents believe that 22% of inbound calls could be avoided through proactive outbound customer contact, which would save the US contact center industry $31.5bn each year. 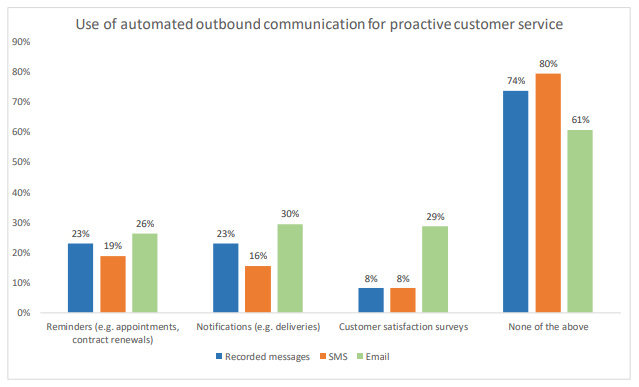 While the majority of targeted outbound contact is carried out by agents, the opportunity exists for automated outbound service to expand – such as sending reminders and notifications to customers through an automated process – thus significantly reducing the cost to the business while improving the overall customer experience. Many customers will choose to seek clarification or a status update at some point in the buying process by making an inbound interaction. By sending a pre-emptive outbound message, the business is proactively assisting the customer to manage their interaction. Customer journey analytics can identify which customers are most likely to require information, and when. Business processes can be realigned so that these customers are presented with information at a time appropriate to them, thus avoiding a likely inbound call. However, 74% of respondents do not use recorded messages for any purpose, whereas SMS messages are used by only 20% of respondents, mainly for notifications and reminders. 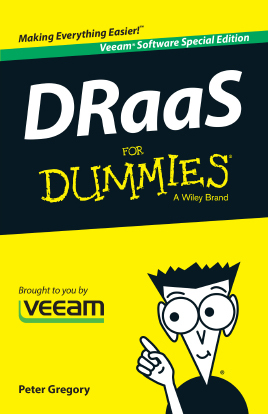 61% of respondents do not send automated emails at all, despite a very low potential variable cost. 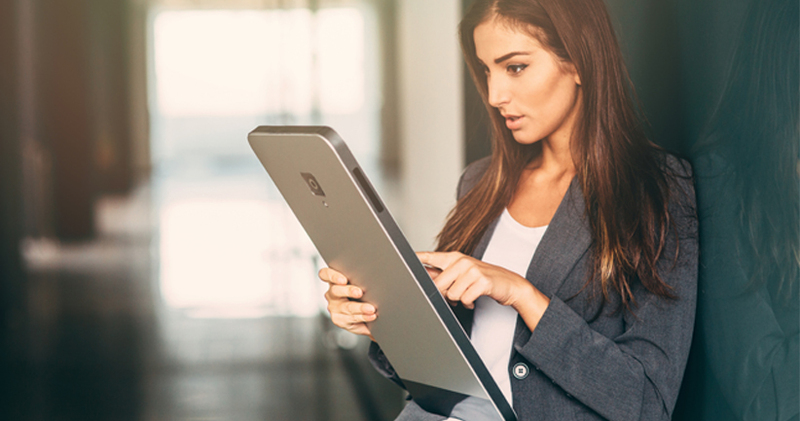 Customer satisfaction surveys are more likely to be carried out by email than by other digital means, as this will give the customer the opportunity to complete the survey at a time convenient for them, as well as offering a longer and more detailed opportunity to understand the customer’s experience. Businesses were asked about the effect that the technology that they used had on their customers’ experience. Web chat was seen as having the most positive effect, in that it provides an immediate opportunity for a customer to contact the business without picking up the phone. Closely linked with this, web self-service is also seen as positive for customer experience by 80% of survey respondents. 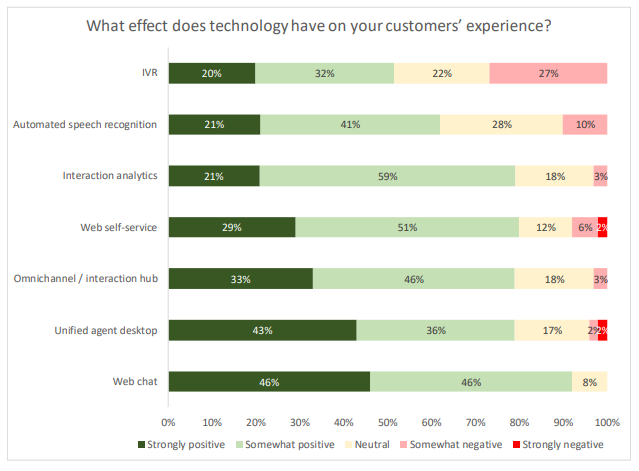 While IVR and automated speech recognition were viewed as being generally positive by more than half of respondents that used these solutions, they were the most likely to be seen as providing a neutral or negative customer experience. What effect does technology have on your customers’ experience? 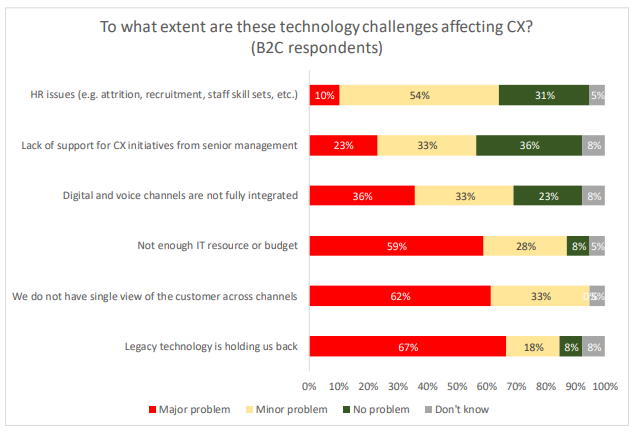 Respondents were also asked about the extent to which technology challenges were affecting their ability to improve their customers’ experience. For B2C respondents (i.e. businesses which sell to the consumer), technology challenges affect customer experience significantly more than is the case with B2B respondents. 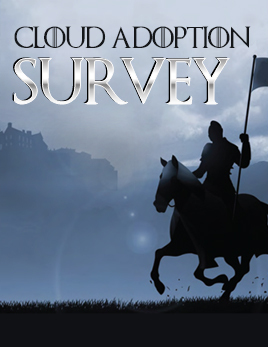 In particular, two-thirds of respondents state that it is a major problem for them that their existing legacy technology is holding them back. 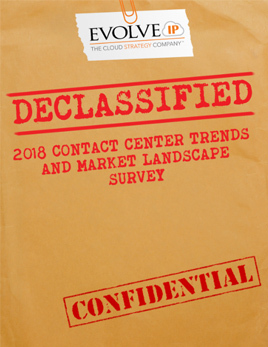 Well over half of these respondents also state that not having a single view of the customer across channels or enough IT resources or budget are also major problems for them. B2B respondents were less likely than their B2C counterparts to flag up major technology challenges, although it is noticeable that 43% of B2B respondents stated that not having a single view of the customer across channels was a major problem for them. The second greatest issue is closely connected with this, in that the digital and voice channels are still not fully integrated, which causes a major problem for 35% of these respondents. 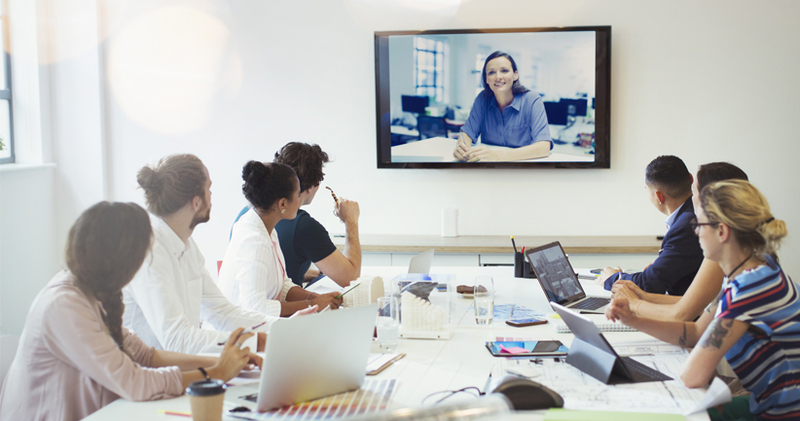 Issues around HR (such as the availability of suitably qualified and experienced IT resource) and a lack of support from senior management for customer experience initiatives are seen as being much less of an issue. 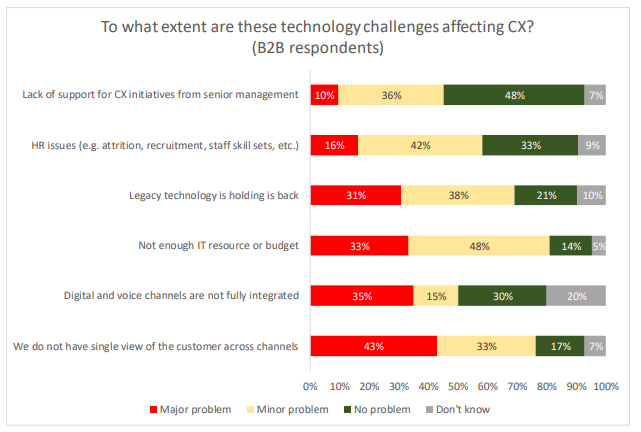 Looking at CX-related technology challenges from the perspective of company size, it is the largest organizations with the highest revenues that are most likely to be having trouble integrating the digital and voice channels and also having a single view of the customer, and these operations are also most likely to be restricted by their existing legacy systems. 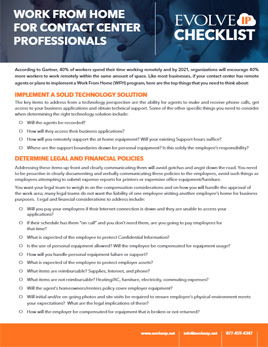 Few respondents of any size reported any major concerns with IT human resources, although budgetary issues reported being a problem for all except the very largest organizations. Small and medium-size organizations were most likely to report a lack of support for customer experience initiatives from their senior management. The lesson that can be learned from these findings is that while individual channels (such as web chat) are seen to work well for customers, making them work together and having a single view of the customer across channels is still a major problem for many businesses.